Works great on desktop and on mobile devices thanks to an extensive set of virtual keyboards. And it is easy to customize to your needs! You can use MathLive to simply render math equations by adding a few lines to your web page. 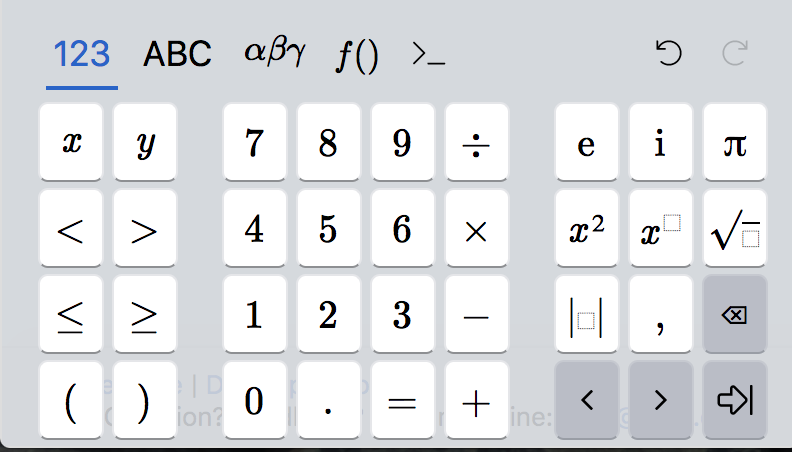 You can also incorporate a “math field” to edit math just like you would edit text. 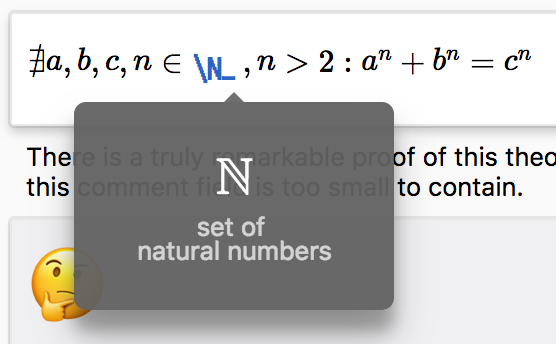 The MathLive APIs allow you to interact with the math field, including extracting its content, inserting placeholders and more. make some other changes to MathLive you can also install it locally in your project. This will make a local build of MathLive, run a local HTTP server and open a page with the examples in your browser. 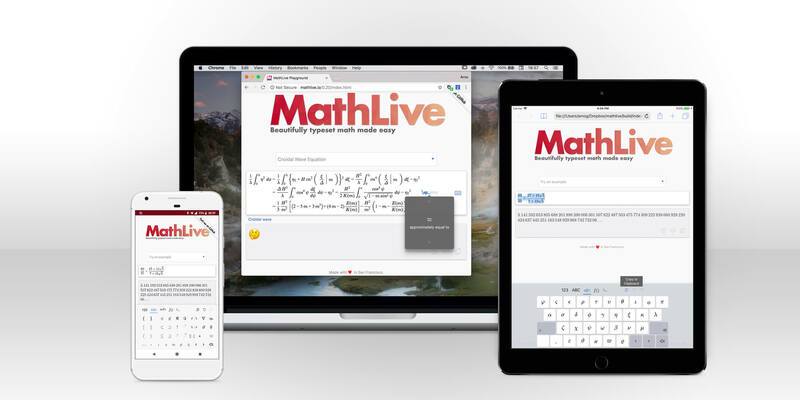 Want to use MathLive in your web page? The Usage Guide has all the details.